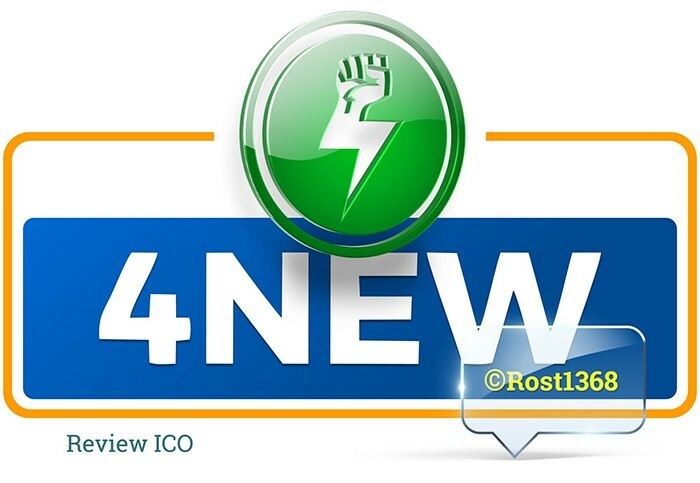 The idea of the project, the underlying technologies and innovations, detailed costed development plan, professin the development team and the support of experienced consultants that utilu this interesting idea, suggest a great potential success of the project 4NEW. So, let&apos;s move on to the review of this project. Mining crypto currency is becoming a real energy problem every day. A year ago, the extraction of one Bitcoin was equivalent to the capacity that 7.5 American households consume daily. And already for today, this level is equal to energy consumption of 35 households! Today the world production of bitcoin and other digital coins consume the same energy as Chile, Luxembourg, Iceland and Singapore. And every day the energy consumption of the crypto market is growing. 4NEW proposed a solution to this problem. 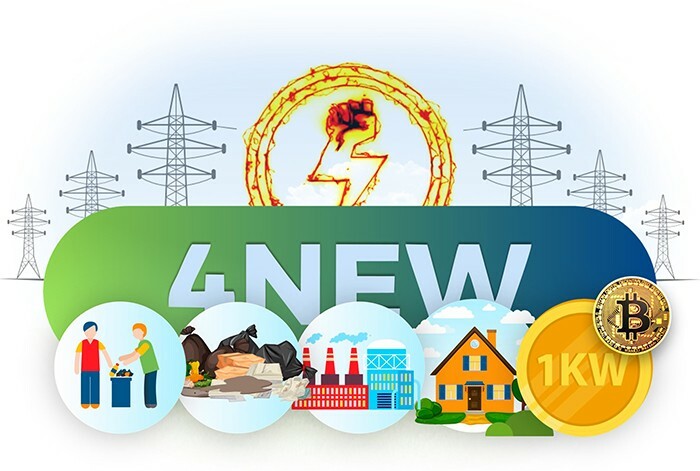 4NEW is an operating company that produces electricity from waste and garbage. The company operates according to all necessary world standards. 4NEW power plants receive their income from urban waste water treatment, as well as subsidies from the government. The enterprise is already profitable. Particularly worth noting is the fact that 4NEW has a patent for generating electricity from waste and using the extracted energy for the crypto currency. 4NEW proposed a solution for the energy supply of the mining process, without involving national energy resources. 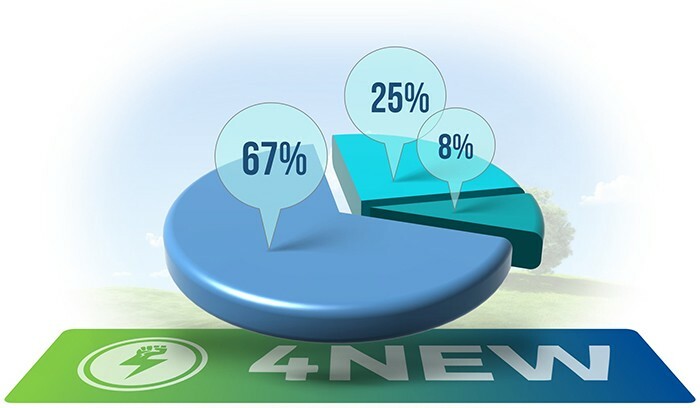 At the same time, using the idea of ​​4NEW, has a beneficial effect on the ecological situation in the region. 4NEW offers any tokens to any investor, in exchange for a share of the profit that the enterprise will receive from mining a crypto farm. 4NEW introduced an innovative solution, which was applied for a patent (number: 62674053). 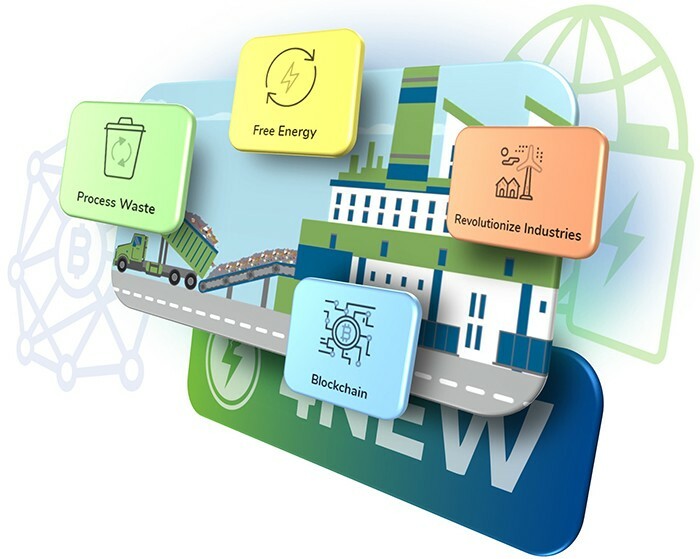 The patent solution is that the energy generated by power plants from waste and garbage uses block, digital assets, digital protocols or smart contracts for mining crypto currency. A digital asset or a smart contract acts as a measure of the amount of electricity consumed to produce one unit of the basic crypto currency that is produced. The power plant, in this case acts as the main node in which all the electrical energy from several centralized or decentralized flows of various farms is concentrated all over the world. Waste-generating power plants (WTE) have already been used for more than 115 years. They simultaneously solve both social and environmental problems; waste management and energy shortages. If we consider other sources of energy generation, such as wind, solar, hydroelectric and geothermal, their work depends on the availability of natural resources. Waste is available everywhere. Revenues from waste recycling are supported by the enterprise in break-even condition. Therefore, the energy acquired is, in fact, free. It is this free energy that can be directed to the process of extracting the crypto currency. 4NEW united in its decision: process waste, free energy, blockchain. Today, two operating plants 4NEW generate electricity with 10 megawatt per hour. Already chosen the place to launch a third station in 2019. 4NEW plans to connect the blockchain ecosystem, which will be built this summer on farms for the extraction of crypto assets. 4NEW generates free energy, which the company aims at mining capabality. This allows 4NEW to provide a stable and scalable solution for mining cryptocurrency. 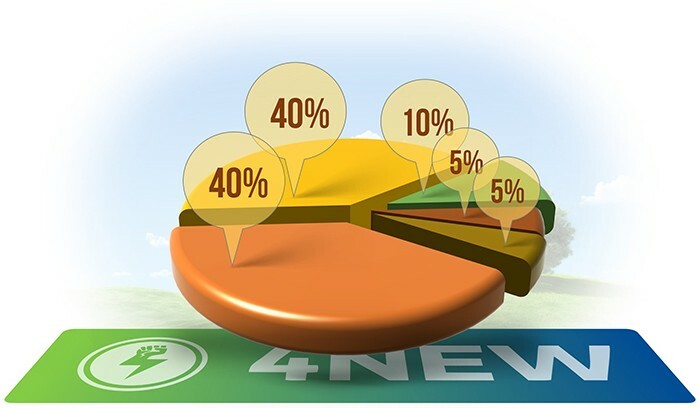 4NEW every quarter to accrue to the holders of coins profit, Bank account or credit card. The miners will be able for coins to buy power for mining other cryptocurrencies. 4NEW will provide a platform blockchain, which will enable the decentralized, peer-to-peer transactions. Thanks to these transactions, the production of energy will directly go to customers on a global scale. 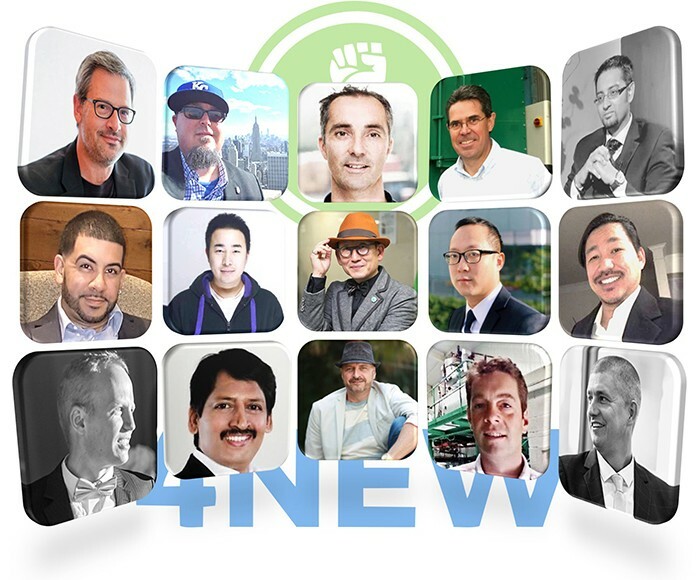 4NEW will revolutionize the industry of waste disposal. Energy and Crypto-mining is entering a new era. 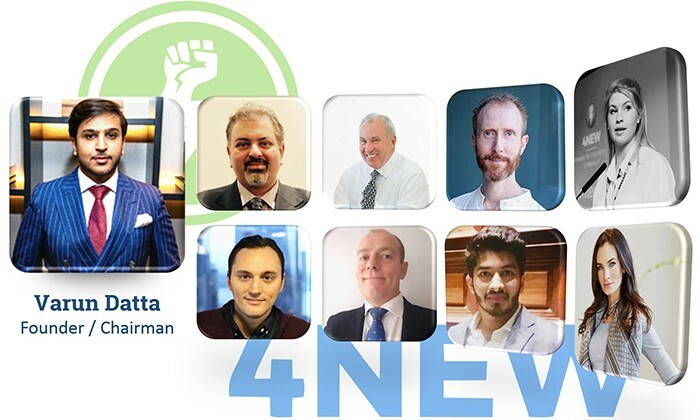 Team 4NEW consists of people who believe in the blockchain technology and crypto currency. They understand what benefits technology can bring to our society (from the elimination of intermediaries and the distribution of power, the permanence of the records and full security). To become acquainted with the biography and achievements of each team member project, You can directly on the company website or whitepaper. The project has attracted powerful potential of experienced consultants, known for its practical and scientific achievements in related industries the crypto space. Also see the personality of each consultant you can on the company website or whitepaper. All the project has 9 permanent employees and 15 external advisers. The list of developers, advisers and assistants of the project is quite large and includes many strong professionals from various allied industries. Read more with a team of 4NEW, see the relevant section of the official website. 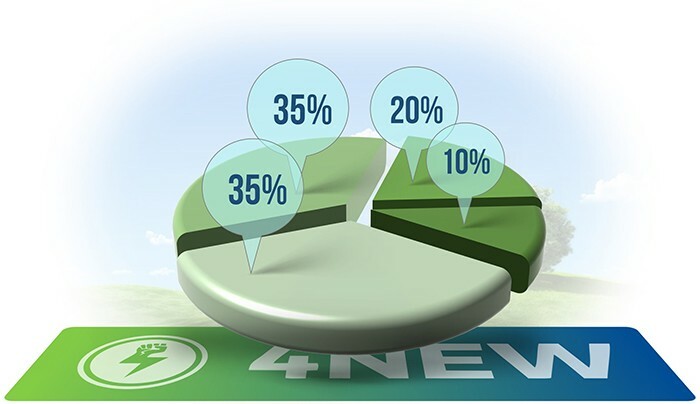 4NEW actually makes a revolution in the recycling industry. The project in practice shows you how to successfully unite the process of waste disposal and blockchain technology. The idea behind the project, simultaneously with a great economic effect, borne by society as an important social and environmental value. 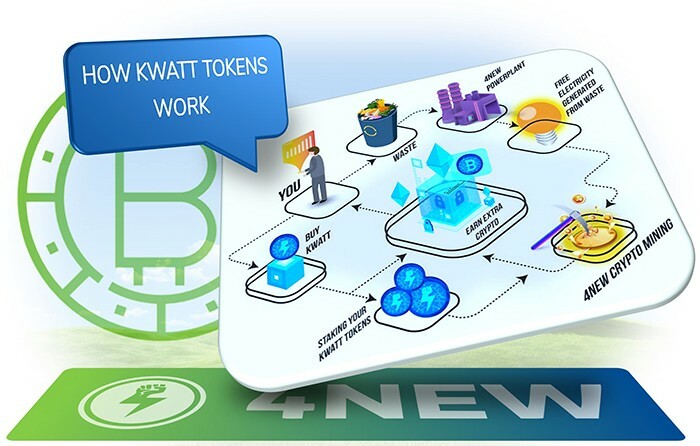 4NEW - tokenising electricity on the blockchain with KWATT tokens, and turn waste into free electricity that powers 4NEW’s crypto mining farm, generating a return for KWATT token holders. 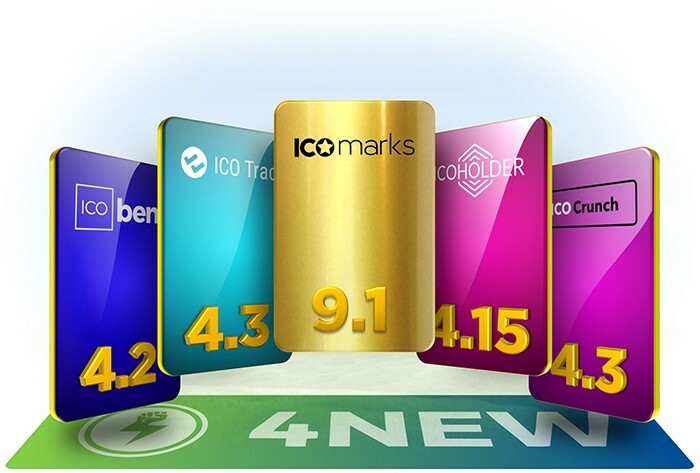 I hope that the collected in this article information on project 4NEW will enable you to decide on invest your own funds. But in spite of all the advantages and prospects of the project, do not forget that to date, investment in the crypto space projects are highly risky! The answers to your questions You can find in the FAQ section on the project website. The author of the article and the copyright holder is Andrew Rost.